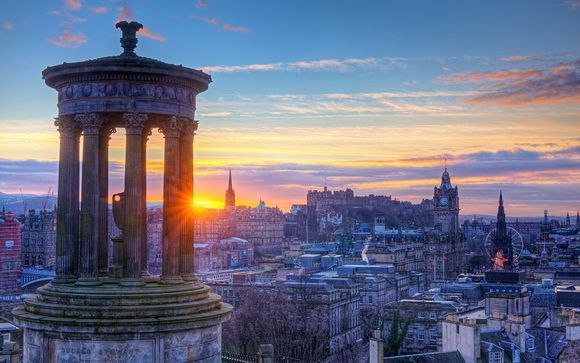 Weekends in Edinburgh up to -70% off To take advantage of these offers, join now for free! 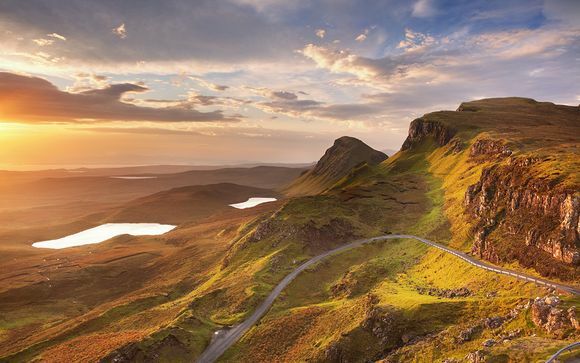 Book online at Voyage Prive and enjoy a weekend in Edinburgh; the perfect place to discover the beauty and culture of historic Scotland while staying in luxurious accommodation. 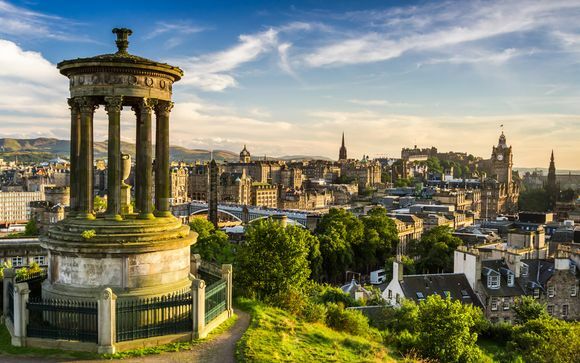 Take a weekend break in Edinburgh and immerse yourself in the culture and ancient beauty of 'Auld Reekie'. 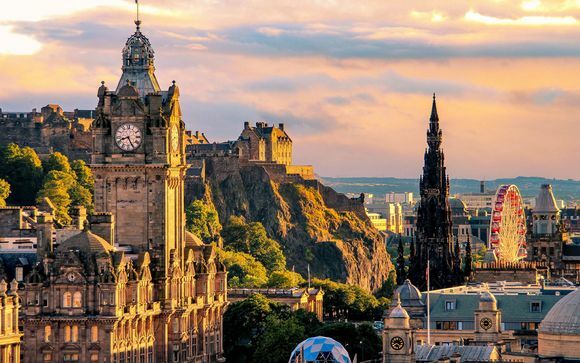 The breathtaking Medieval architecture of the Old Town has many interesting stories to tell, from George IV Bridge - home to the famous faithful Skye Terrier Greyfriar's Bobby - to the Queen's Scottish residence of Holyrood Palace and the Scottish Parliament. Take in the splendour of iconic Edinburgh Castle's Great Hall, built for the ill-fated James IV, and the magnificent Crown Jewels from Mary Queen of Scots' 1543 Coronation. 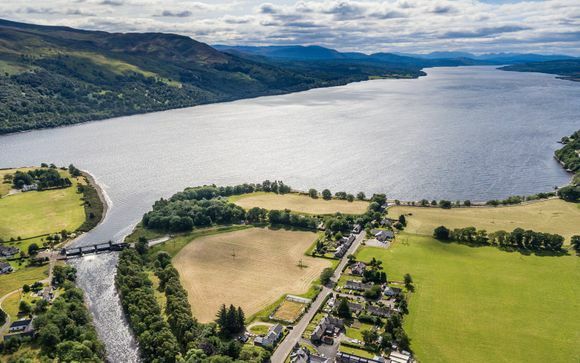 Bars, bistros, theatres, arts centres and ghost tour excursions - not to mention quaint shops offering everything from souvenirs to high end fashion - also provide plenty to see and do. 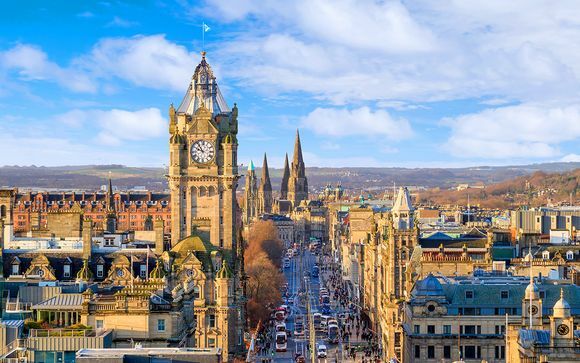 If you live to shop, Edinburgh is a must for a luxury weekend break, offering familiar High Street names alongside exclusive stores like Jenners and A-list brands along George Street. Multrees Walk at St Andrew Square, with its Harvey Nichols, Louis Vuitton, Mulberry, Tommy Hilfiger and Burberry and more is a luxury lover's paradise. Shopping against the backdrop of Edinburgh Castle and the beautiful Princes Street gardens is a unique experience; especially when the one o'clock gun booms from the castle grounds! This ancient tradition, dating back to the 19th century, is as much a part of Edinburgh's unique heritage as its bagpipers, Walter Scott monument and the National Gallery - all of which are key features of Princes Street's stunning gardens. Theatre and comedy are also important aspects of Edinburgh life, so there is always plenty to keep you entertained - especially during August when hundreds of Edinburgh Festival performers take centre stage looking to find fame! From fine dining to pub grub, Edinburgh has it all. Traditional Scottish bars line Rose Street, serving Scotland's famous haggis - a mince traditionally made of sheep "pluck" (heart liver and lungs - but it's honestly delicious!) and served with neeps (turnip) and tatties (potato). Popular chains also serve everything from tapas treats and Italian delights to Indian and Chinese. Leith is a great place to explore Edinburgh's culinary delights. Sign up now for exceptional discounts on luxury holidays and exclusive offers on hotels, handpicked just for you. Be notified of upcoming sales offering exclusive prices, giving you more to spend on an unforgettable getaway!